Hello, I am Kurt Coates, a successful crowdfunding manager with years of experience. I have created over 50 crowdfunding campaigns with a success rate of over 75%. Crowdfunding is an avenue for people to solicit for funds from the crowd. All they have to do is create a campaign and promote it to their target audience. The campaign can be about any kind of projects, from books, to movies, social projects, businesses of all kinds, and even real estate development projects. 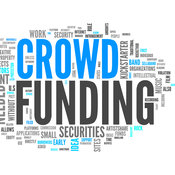 Crowdfunding has provided financial solution to businesses, organizations and individuals. The possibilities are endless, which means that the chances for you to obtain the funding that you are looking for are higher than ever -- but it also means that there is so much competition for attention and funds, that setting up and running a successful crowdfunding campaign has also become very challenging. If you do not want to take chances and want to secure everything you need to get a fully funded crowdfunding campaign, let me know.